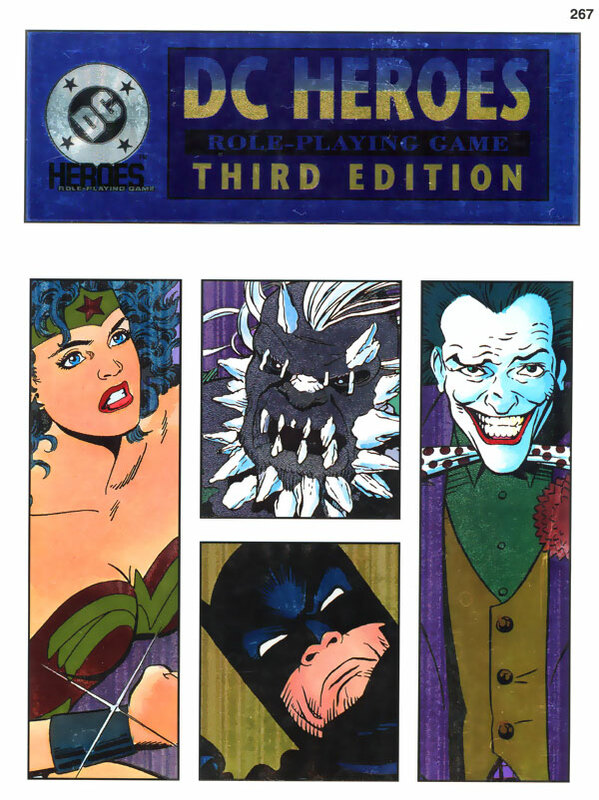 Today concludes my coverage of Mayfairstivus, the celebration of Mayfair Games’ DC Heroes Role-Playing Game! What a crossover it’s been! Over 60 posts across 19 different blogs! Unbelievable! Just goes to show how much excitement this game system can generate. I apologize for missing the past two days here; a lack of sleep and real-world stress finally caught up with me. Below is a complete list of all the blog entries in the Mayfairstivus crossover. Be sure to check out these fantastic posts! If any further posts are published, I’ll update this list. The Question 1989 Mayfair RPG Game Card – COMICS MAKE ME HAPPY! 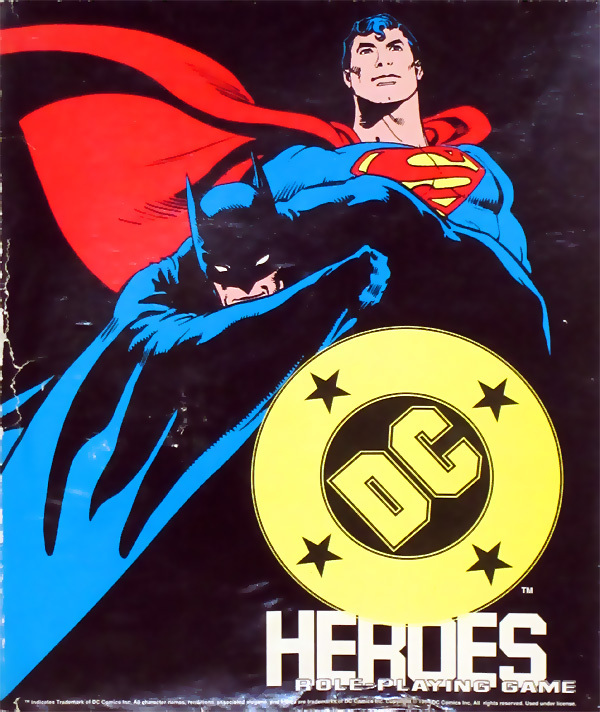 Batman 1989 Mayfair RPG Game Card – COMICS MAKE ME HAPPY! 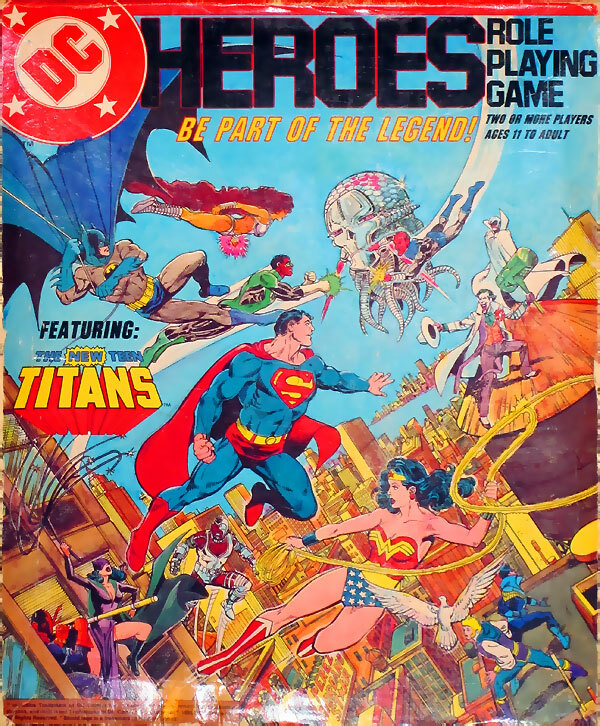 Special thanks again to Mayfairstivus mastermind Frank Lee Delano (of the blogs: Martian Manhunter: Idol-Head of Diabolu, Justice League Detroit, Power of the Atom, Diana Prince: Wonder Woman, DC Bloodlines, and …nurgh…)! Not only did Frank come up with the idea, he provided most of the card scans and coordinated this entire monstrosity! Let’s also give a nod to Tom Hartley. Tom was the unintentional catalyst for this event by selling his second edition DC Heroes RPG box set to Frank. Another special thank you to Walter from the Booster Gold themed blog, BOOSTERIFFIC. Walter sent me the Photoshop template used to create the neat shadows around the Mayfair character cards. Finally, a tremendous thank you to all the bloggers involved in this crossover event. I appreciate the time you took to develop your posts. Each entry was excellent and fun to read. THANK YOU! Before Mayfairstivus was even a glimmer in Frank’s eye, there were a few sites carrying the torch for the Mayfair RPG system. Check out these previously published Mayfair-related posts/websites. They are definitely worth your time! That about does it. Thanks again to all the participating bloggers and thanks to you for reading! If you want to see more Mayfair-related posts in the future, let me know in the comments!